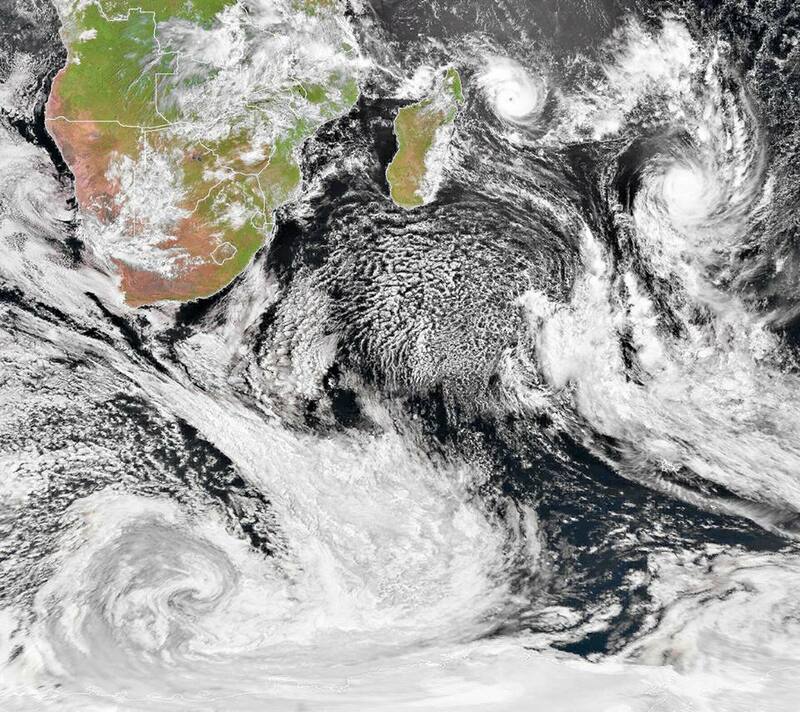 Maps: Satellite pictures show cloud cover over Southern Africa before the heavy rains were recorded on Friday. 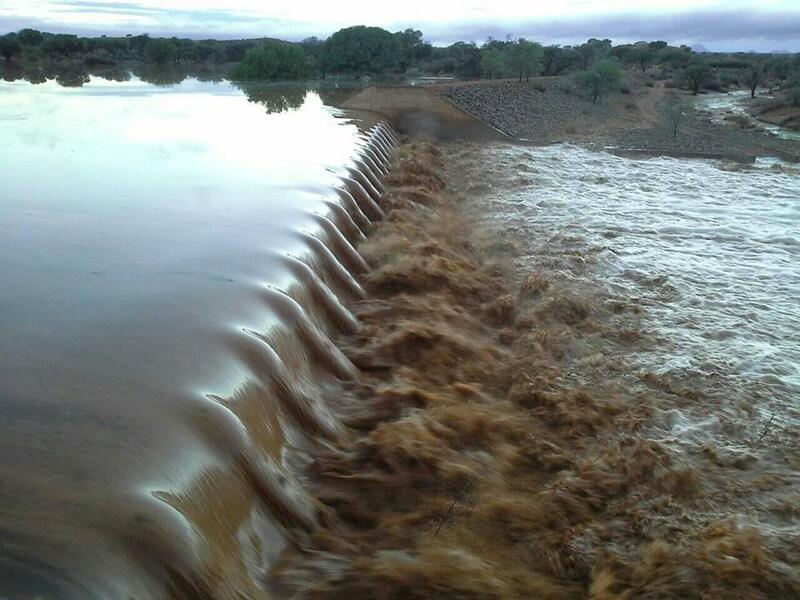 Picture source: Contributors to the Reen in Namibia Facebook page. 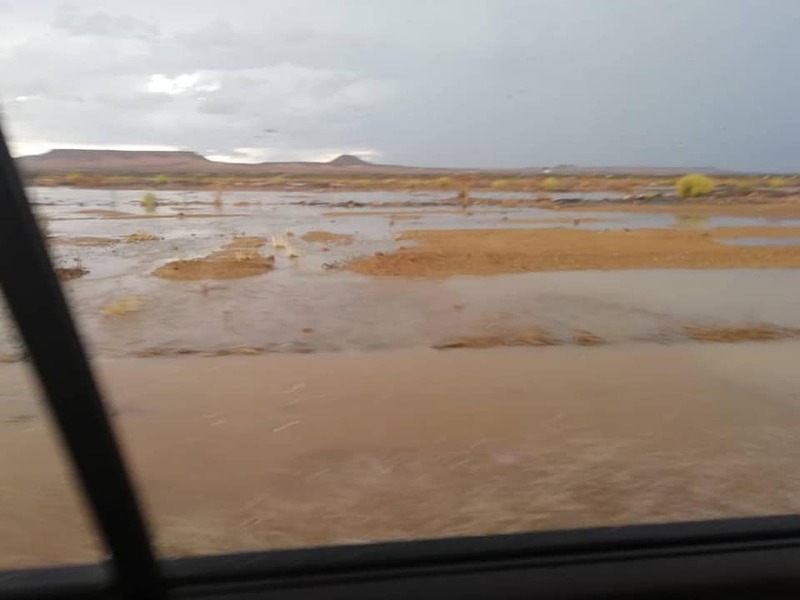 The record books might very well have to be rewritten as farmers in the area of Aroab measured up to 165 millimetres of rain in the past 24 hours. 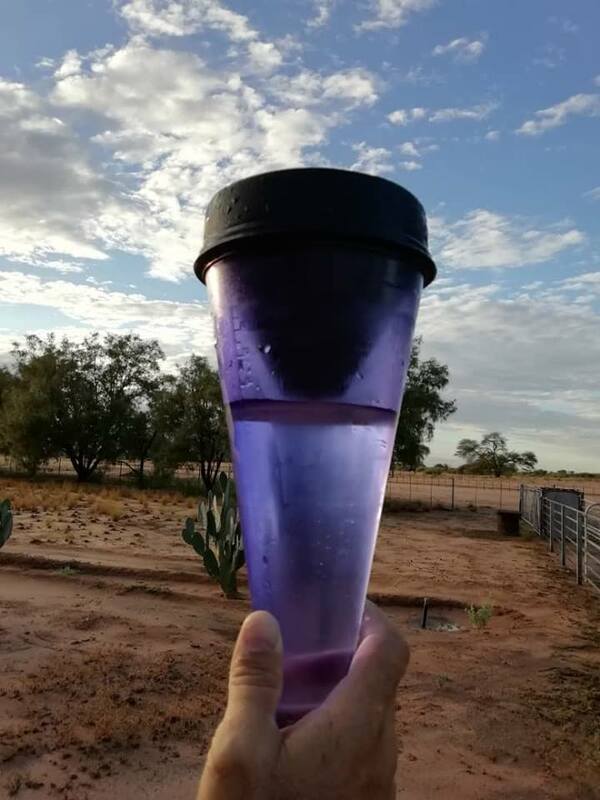 Rain is measured in millimetres and one millimetre of rain represents one litre of water per square metre meaning that on one farm near Aroab as much as 16 and a half litres of water were measured per square metre. 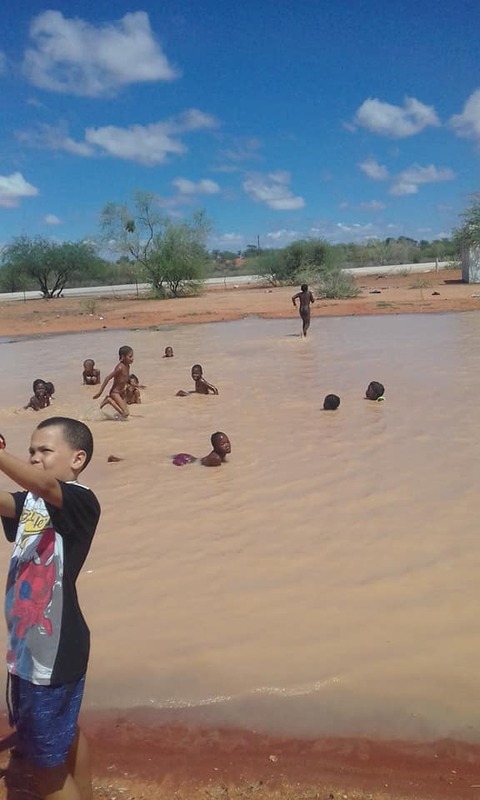 Heavy rains fell over the breadth of southern Namibia and caused the normally semi desert area to turn into one giant water pan with raging rivers. Namwater announced that as much as 385 cubic metres of water was flowing into the Naute dam near Keetmanshoop and floodgates might have to be opened within the next 24 hours. 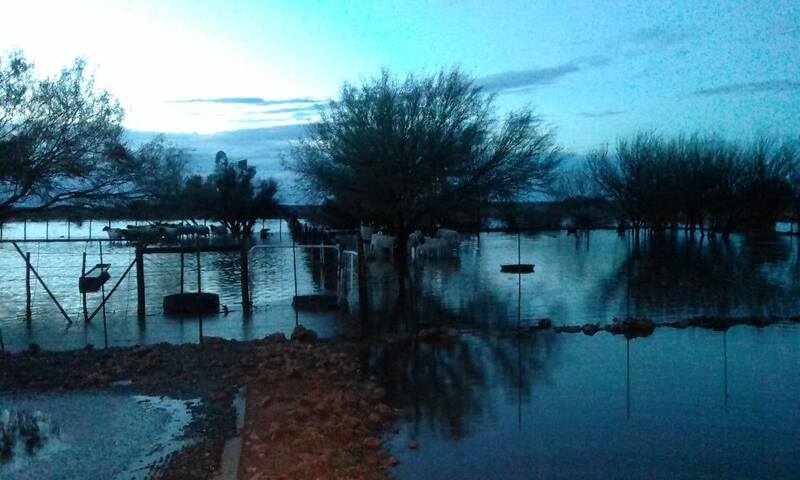 Namwater indicated that residents of the area will be updated as time progresses. 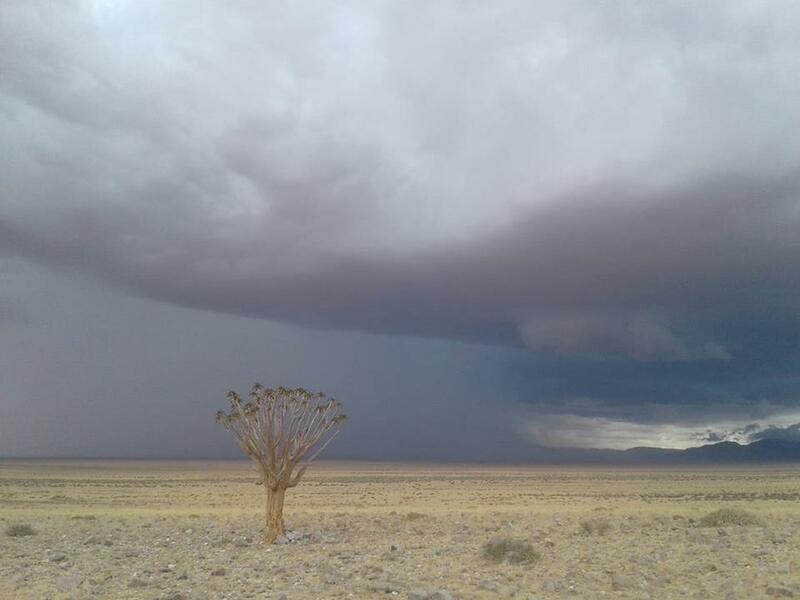 Although not official, the rain measured is extraordinary with other farmers near Aroab saying they measured at least 117mm of rain and one at Koës recording a measurement of 123 mm during the same period of time. 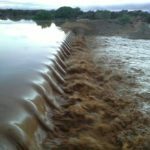 Many rivers in the south are in flood with the Lowen River and the Fish River flowing strongly south of Mariental in the area of Berseba. 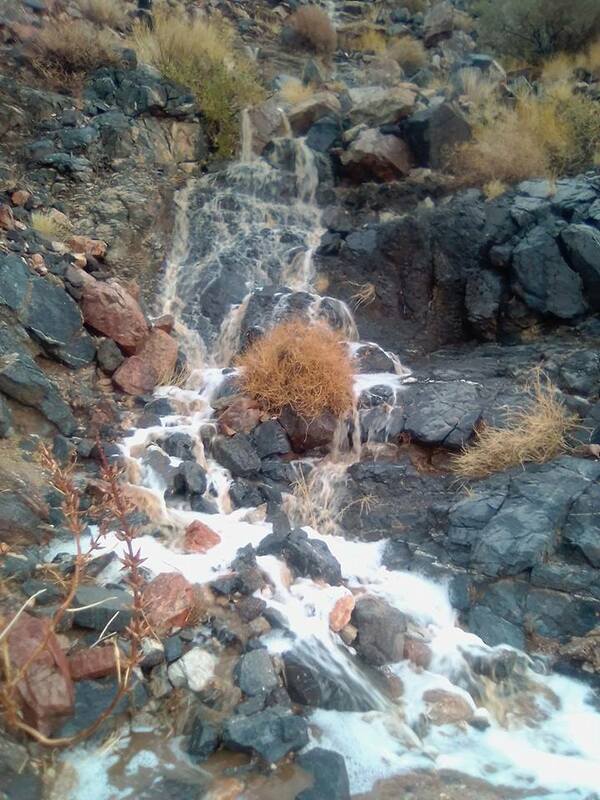 Several other rivers feeding into the Orange River in southern Namibia have also started flowing. 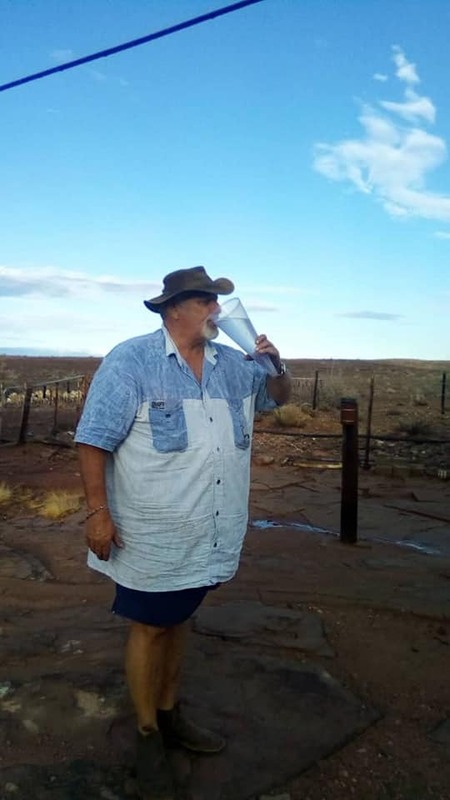 In the area of Grunau and Karasburg Farmers reported that earth dams that have had no water for years were filled to overflowing within hours. Reports of welcome rain measuring anywhere between 20mm and 70mm were also received from Aranos, Karasburg, Stampriet, Mariental, Gochas, Rehoboth, Rosh Pinah, Amenuis, Gobabis, Otjiwarongo, Grootfontein and even as far north as Rundu. Modern communication technology has made it possible for people from all over the world to share in the joy of welcome rains. Readers of Informanté are invited to share their own rain pictures in the comments below. Please add where the picture was taken and if possible please add measurements.